Adding transit service to the north Dallas region. DCTA was challenged to increase mobility into the north Dallas Metro area through the development of new services and coordinating new rail passenger operations with other regional rail systems. 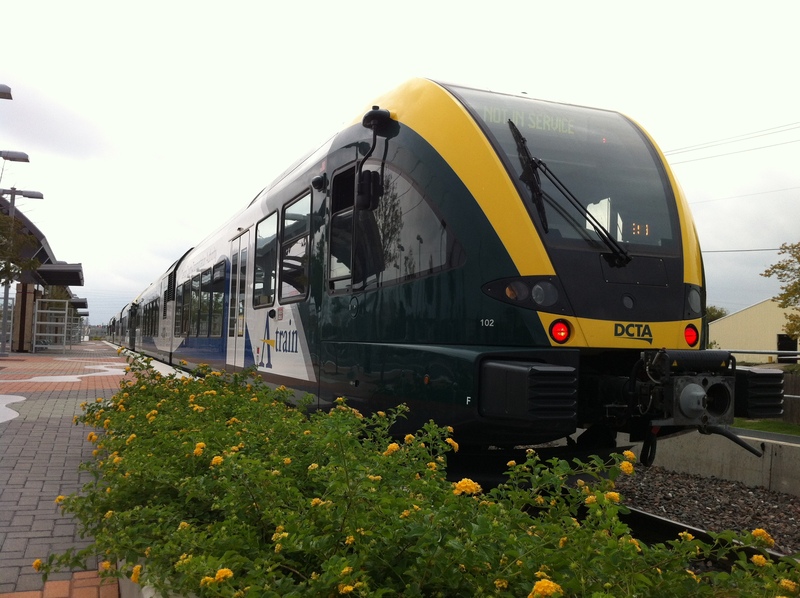 DCTA developed the A-train commuter rail project to connect downtown Denton with the Dallas Area Rapid Transit (DART) light rail system using a mixed corridor of freight service and rails-to-trails occupancy. LTK assisted DCTA with numerous elements of A-train system development from preliminary engineering through construction and revenue service, including rail vehicle specifications, vehicle acquisition, diesel multiple units (DMU) design review and commissioning, operations analyses, positive train control (PTC) engineering, alternate vehicle technology (AVT) compliance, maintenance facility-to-vehicle interface support and signal system design. LTK led the preparation of DCTA’s AVT waiver application (the nation’s first) to the Federal Railroad Administration (FRA) to allow the integrated use of DCTA’s new fleet of European DMUs and traditional FRA-compliant equipment without the need for temporal separation. This first-ever AVT waiver was granted by the FRA in May 2012. Since its inception in the summer of 2011, the DCTA A-train system has carried more than 2.5 million passengers, and has dramatically increased mobility in north Dallas.